It only costs 40,000 United miles to fly Thai Airways First Class between South Asia and Australia/New Zealand. A flight between Bangkok and Sydney is nine hours long. 40k is an incredible price for the travel time and quality of the product. Sadly on November 1 of this year, the price will increase to 65,000 miles. That is not an unreasonable price, but the award will certainly lose its sweetspot status. The devaluation of this international award is not the only change we’ll see to MileagePlus this fall. Read United MileagePlus Changes Effective November 1, 2017 for full details. Today is July 21. With more than three months before the devaluation, you still have time to collect United miles (or Ultimate Rewards, which transfer 1:1 to United) for redemption on Thai First Class between South Asia and Australia/New Zealand. Even though Scott has flown Thai First Class on this route before, we don’t have any personal pictures from the flight as his phone was lost as the time. Below I’m including of a snippet of Scott’s experience. Most international First Class, at least on Asian airlines, is going to have a great bed, great service, and delicious food. What sets Thai apart is the ground experience. I connected in Bangkok and was met at the plane door by a Thai employee who escorted me to the lounge. Once there, I was handed off to another employee who took my food, drink, and massage order. First Class passengers departing Bangkok get a free massage. You have four options, and I went with the hourlong Touch of Silk oil massage. I’m not much of a massage guy, but the time flew by, and I came out feeling relaxed and fantastic. All else equal, you really want to fly Thai First Class out of Bangkok instead of into Bangkok to take advantage of Thai’s ground service. The Points Guy has a thorough, recent trip report with plenty of photos to check out. One of the most important things to note from that report, if you want to ensure you get the highest quality product, is that Thai Airways has two configurations of the 747-700, one of which has newer, nicer, more enclosed suites (a total of nine) while the older configuration has ten. Securing one versus the other might be complicated though as substitutions can happen. First Class in Thai’s new configuration on the 747s are about eight feet long and 23 inches wide. The older 747s have are about seven feet long and 21 inch wide seats. Both feature flat screen TVs and 180 degree recline fully flat beds. Since flying out Bangkok means you get to enjoy Thai’s ground experience, I looked at First Class award space flying direct between Bangkok and Sydney from November 2017 through March of 2018, Thailand’s dry(er) season. There were random days scattered here and there November through February, but it’s March when the calendar really opens up. Spring break trip perhaps? Almost every single day in March has First Class award space for one traveler, often on more than one flight. About half the days in March have First Class award space on flights for at least two travelers, sometimes on more than one flight. I didn’t check beyond two travelers. I’m not claiming First Class space is wide open by any means, simply showing that it’s there. This sweetspot is pretty publicized, so after news broke of the United devaluation I wouldn’t be surprised if space on the route started drying up. If you can travel in March of 2018, however, you still have a lot of options. You can find Thai Airways award space on united.com, although you’ll have to go through the days one by one since the award calendar doesn’t indicate a difference between Business and First Class award space availability (just “premium cabin”). That’s why I used Award Nexus to isolate First Class award space. Of course, you’re not limited to flying solely between Bangkok and Sydney for the 40k price. As long as United’s search engine can find it, you should be able to include connections to a large variety of other places in South Asia and Australia/New Zealand on Star Alliance carriers for the same 40k price. Assuming you are based in the United States, here are some ideas for how to piece together the rest of an epic around the world trip with miles. 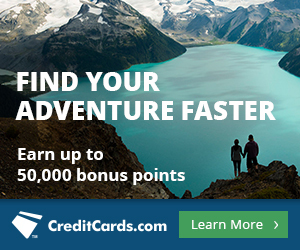 The primary way to earn United miles and Ultimate Rewards fast is through Chase credit cards. 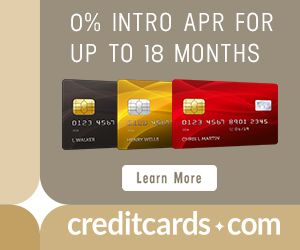 Once you’ve opened five credit cards from any bank in the last 24 months (with the exception of most business cards, as they don’t show up on your personal credit report), Chase will deny you for the majority of their cards. People call this the Chase 5/24 rule. Maxed out on 5/24? Don’t forget to check in-branch for pre-approved offers–this is one of the best ways to get around 5/24. Or you could open a Marriott Rewards Premier Business Card, which the 5/24 rule is known not to apply to. Thanks to the Marriott and United’s relationship, you can purchase 25k United miles for 56,000 Marriott points. Once you have the required miles, as I said above you can search for award space on united.com. You can also book right on united.com. There are a lot of changes coming to United MileagePlus on November 1. One such change is the award price to fly Thai First Class between South Asia and Australia/New Zealand–instead of costing 40k, it will cost 65k. But a sweetspot isn’t a sweetspot unless there is award space to back it up. Luckily there still is, during a good month for travel in South Asia. As long as you book before November 1, you can lock in the pre-devaluation price, which means you have time to open a new credit card for more United miles or Ultimate Rewards if don’t have any or your account is short. This route is indeed an incredible deal. I flew from BKK to Queenstown, New Zealand for 17,500 in economy class recently, on Thai Airways and Air New Zealand. You can go anywhere in SE Asia to anywhere in New Zealand for that price — crazy when you think it’s pretty close to the amount of miles needed for a domestic roundtrip within the continental US…..
Any idea if you can book before 11/01, then change the date later to fit your actual desired date without having to meet the new points requirement? I’m sure there would be a fee but, could be worth it. Seems as though I did that with AA or another airline in the recent past in order to fly Cathay Pacific at the points required pre-devaluation. Does my trip have to begin in BKK to take advantage of the ground services (massage, etc.) or can I connect through BKK from another South Asia destination before continuing on to AUS/NZ? Aaron, you can connect. We used massage service connecting from Singapore to Bangkok before flying to Melbourne earlier this year. Just try to give yourself several hours between flights to find the lounge, book the services and enjoy. I like lounges so I will try and give myself ample time to enjoy the ground experience. Cheers!